When multiple model predictive controllers are implemented on a shared controller area network (CAN), their performance may degrade due to the variable timing and delays among messages. The priority based real-time scheduling of messages on the CAN introduces complex timing of events, especially when the types and number of messages change at runtime. 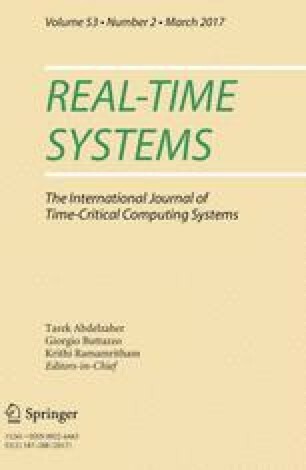 This paper introduces a novel hybrid timing model to make runtime predictions on the timing of the messages for a finite time window. Controllers can be designed using the optimization algorithms for model predictive control by considering the timing as optimization constraints. This timing model allows multiple controllers to share a CAN without significant degradation in the controller performance. The timing model also provides a convenient way to check the schedulability of messages on the CAN at runtime. Simulation results demonstrate that the timing model is accurate and computationally efficient to meet the needs of real-time implementation. Simulation results also demonstrate that model predictive controllers designed when considering the timing constraints have superior performance than the controllers designed without considering the timing constraints. The research work is supported by NSF grants ECCS-0841195 (CAREER), CNS-0931576, and CMMI-1436284. Authors would like to thank Prof. Haibo Zeng for the discussion of CAN bus.